Are you looking for a longer lasting nail polish technique? Gel nails designs are a great option. 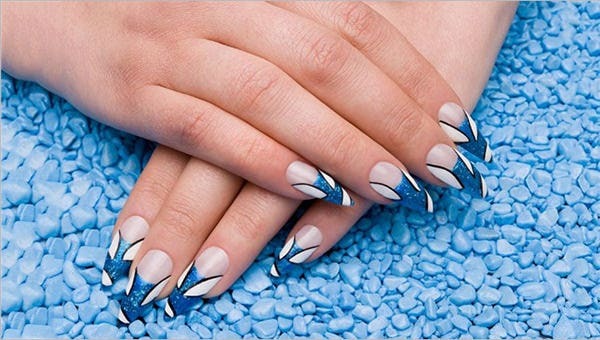 They are done in professional salons by using a hard gel product which are applied on the gel nail design and then further hardened under UV light. 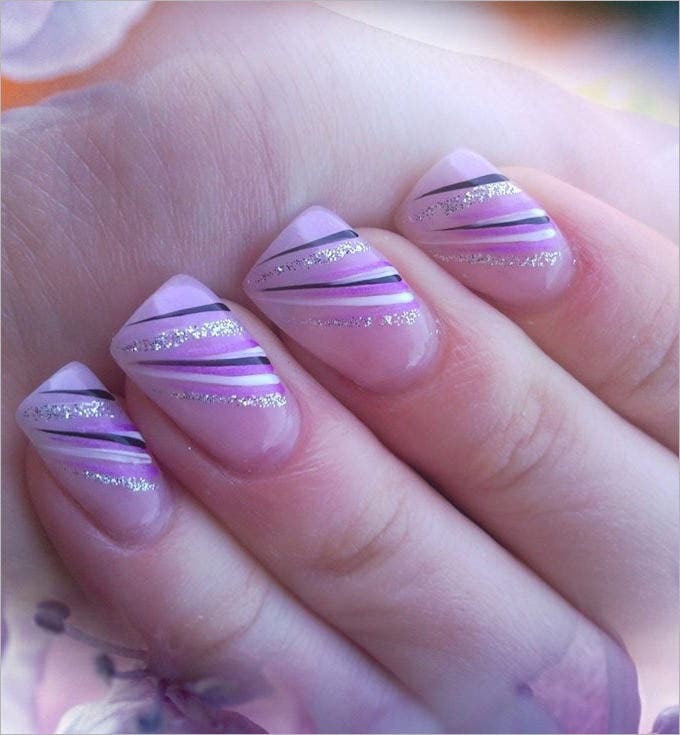 Here are some Fantastic Nail Designs & Ideas for you to get creative with on your gel nails! 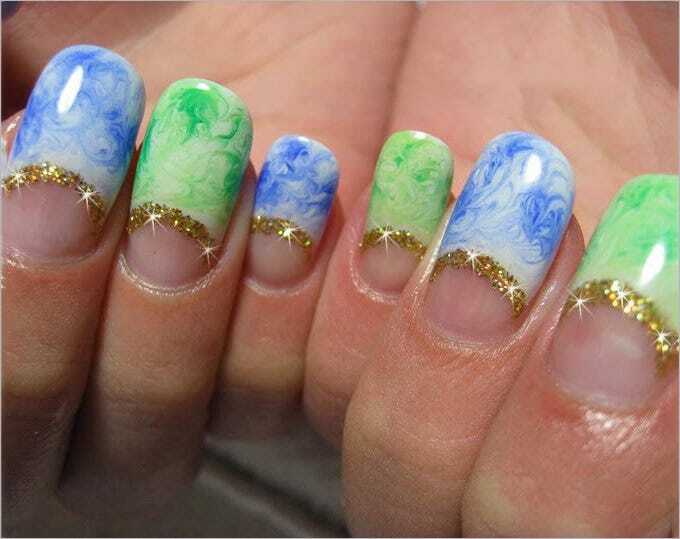 This gel nail design idea has recently achieved a lot of favours from women all over the world. And you can also be an owner of this exotic nail art. It has a silver undercoat and a black topcoat. 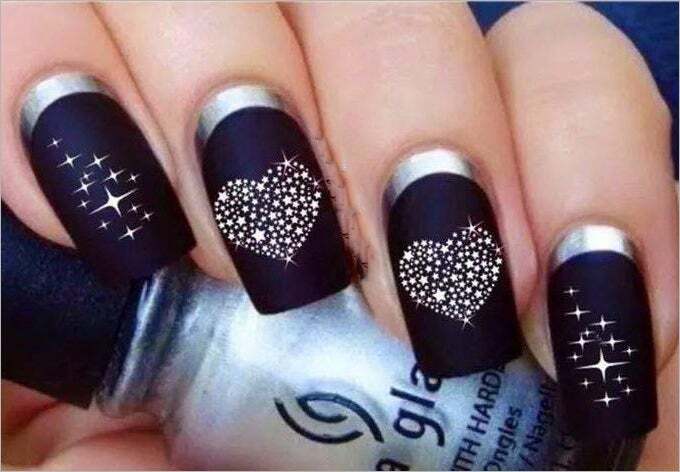 Then stars and heart-shape is designed on the nails with very tiny silver glittery stars. This one is simply elegant. 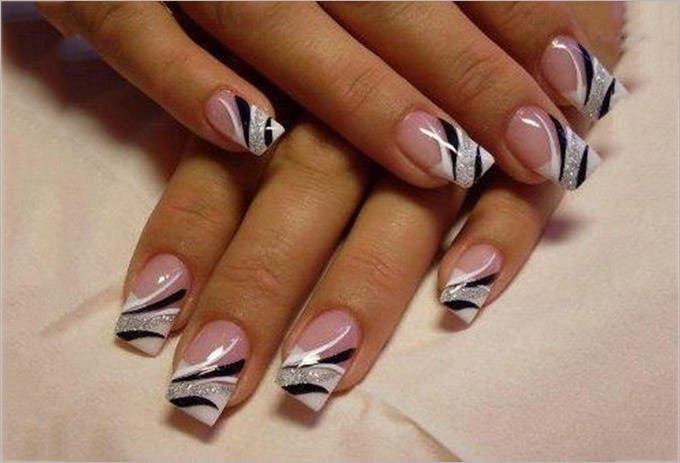 This gel nail design art is easy to design with a pearl pink base and very fine black and white lines across the nail. To add a bit of glamour, you may draw a silver glittery line in between the solid coloured lines. Regardless of whether you have a small or a well maintained long nails, this gel nail design is for everyone. 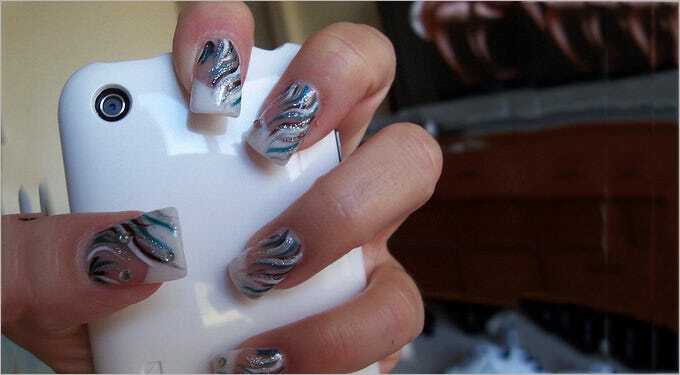 It has a neutral base and half of the nail is painted with silver gel colour; then designed with white swirly petals. This one is very simple and yet has a glossy appeal. You can get this gel nail design art very easily at home by painting your nails with any solid gel colours of your choice and add some glitters on the upper half of the nails. This one is also very easy to create though it may require professional help in case of beginners. For this cute gel nail design, you will first have to paint your nails with a neutral gel colour and then delineate the outgrown part with white gel colour. Then draw swirls with any colour from base to the upper part. 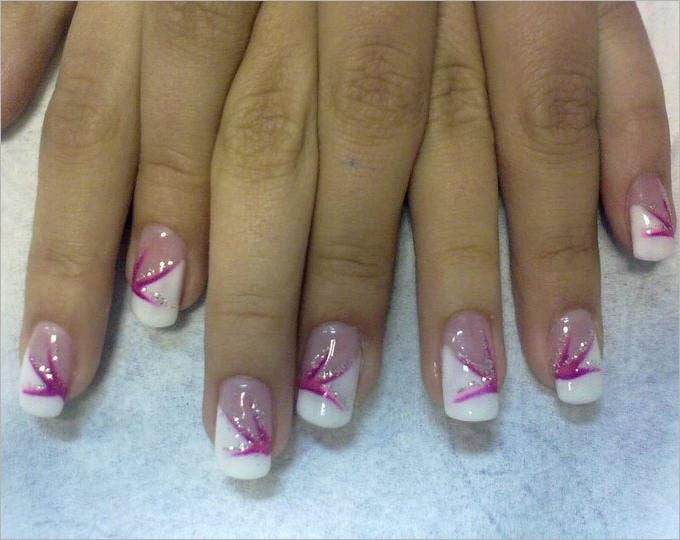 This lovely gel nail design for summer is sleek and elegant. All you have to do is paint your nails with a pearly pink base and then draw a white gel line from the upper right corner to the lower left. Add silver glitters above the line and silver sequences on the pearly base. 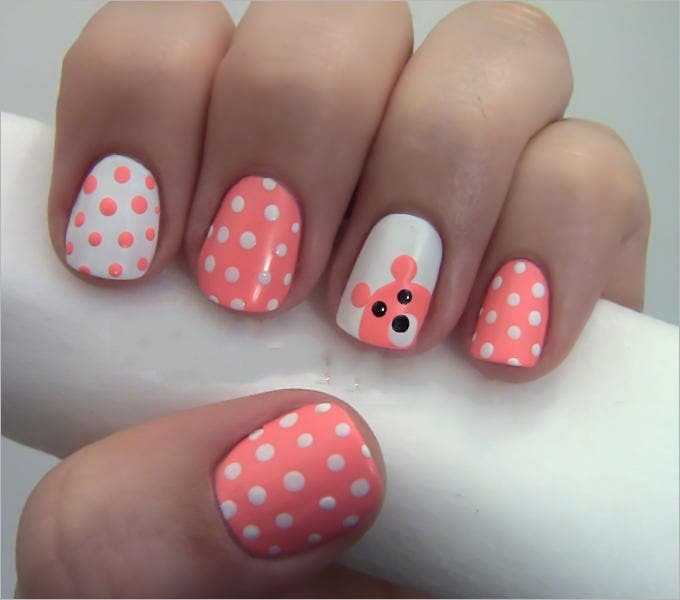 This cute gel nail design will be hard to achieve without professional help. 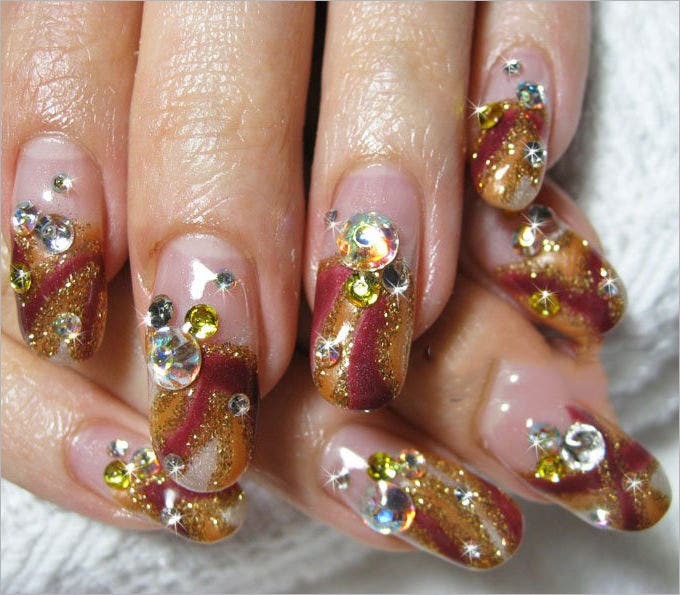 It has a neutral base and the upper half of the nail is painted with golden and maroon glitter gel colours. Stones and sequences are added midway of the nails to create a dazzling look. This is very easy to create as well as maintain. You will have to paint your nails with a neutral base, add some pink glitters and silver sequences to give a unique design. It will look very pretty and easily match with any dress colour you wear. This one is yet another one which may not be easy for you in case you are not a good painter. This cute gel nail design has a pearl base and the upper part is designed with a black coat in a way that it forms the shape of an apostrophe! 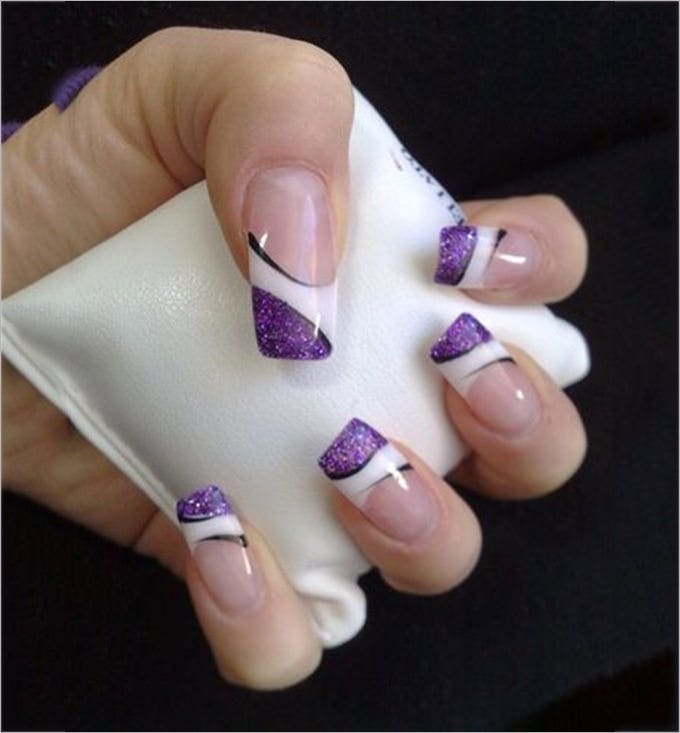 This elegant look can be yours very easily and this gel nail design art is not as intricate as it appears. You will have to paint all your nails with gray gel colour. Then paint any one finger with a glitter colour and for the rest of the nails, etch in a shape of black half circles and add some glitters within them. Your exotic nail paint design is ready. 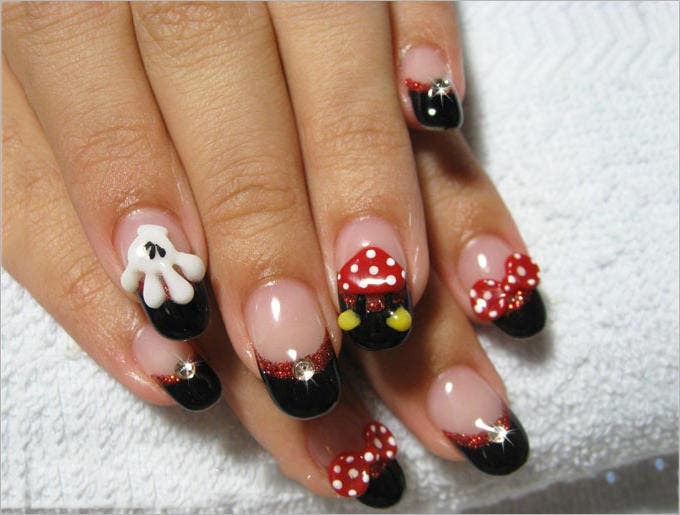 This is yet another cute gel nail design which you can design all by yourself. Simply paint your nails with a neutral base and draw swirls from the upper end to the lower. You can choose white, pink or any other colour and add a few silver sequences. 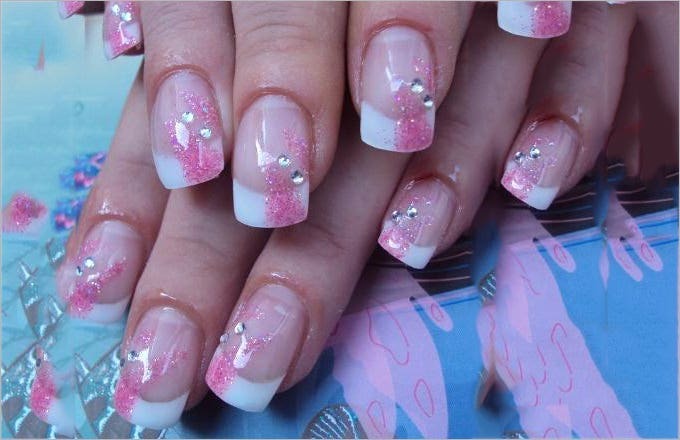 To get all the minute details of this complex gel nail design art, it is better you visit a parlour. It has a pearl base and the upper part is coloured black. There are some very detailed flowers in white gel colour which makes the design all the more appealing. This cute gel nail design is stunning yet very easy. Colour your nails with a pearly pink colour, then colour the upper two-thirds with white gel, immediately after that take blue and green gel colours and paint it alternately in each nail for a smearing effect. This gel nail design idea is very easy and elegant. Simply paint your nails with a neutral base and let it dry. Then paint the outgrown part of the nails with purple or any other colour. 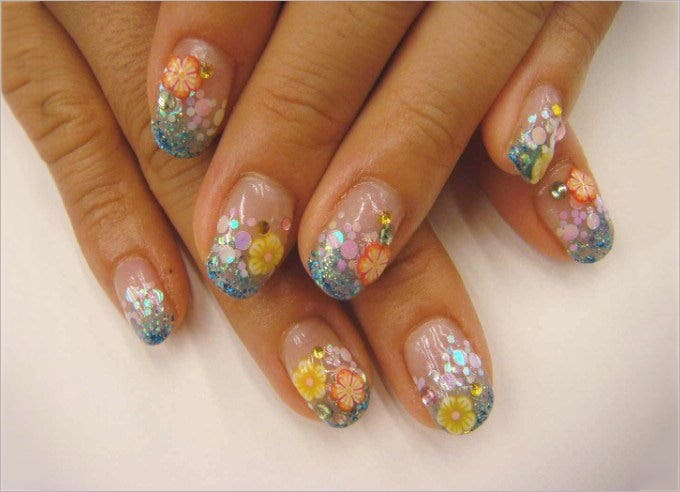 Add a few sequences and glitters to make your nails stand out. 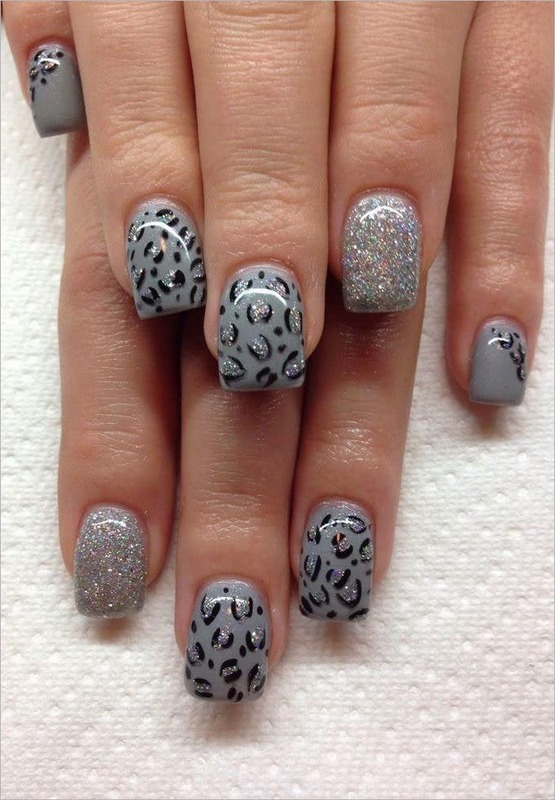 For a classy and chic look, you can paint your simple nail designs a pearl grey color. Then you can put silver glitter on one of the nails in a triangular shape; on another you can put a single dull silver four-sided rhinestone. You can alternate these designs on your nails. For a minimalist look try out this idea – paint all your nails an ivory-white except the ring fingernails, which you can paint a pale sky blue. 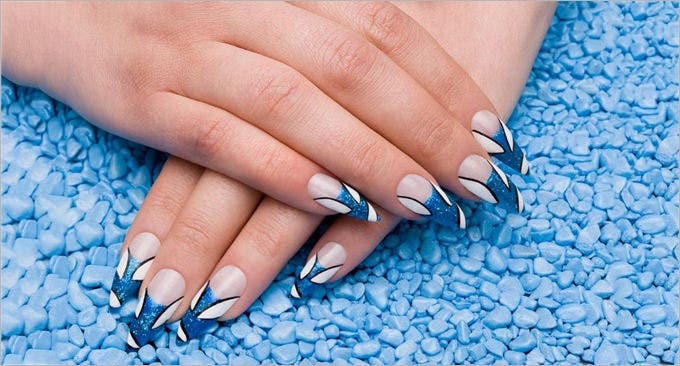 At the base of the white gel nail designs gallery draw a small black square, while on one of the blue nails draw thin black stripes along the width and on the other blue nail draw a single thin black line lengthwise. Instead of polka dots, try drawing small plus signs or crosses on solid base colors.